The Limousin is a well preserved region, pure nature in a characteristic landscape. It is a charming country – wooded, hilly, furrowed by clear rivers, this authentic countryside encourages the discovery of remarkable landscapes and medieval villages. There are many natural sites to explore. The Plateau de Millevaches, Lake Vassiviere, the Dordogne Valley, the Vezere Valley, the Vienne Valley for lovers of canoeing. For romantics: the Creuse Valley which was greatly loved by the Impressionist of the last century. 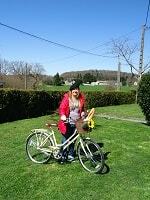 In Limousin country, you can practice all outdoor activities, such as hiking, mountain biking, riding, fishing, golf. 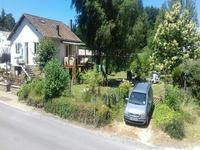 Consisiting of 3 departments, Correze, Creuse and Haute-Vienne, it is a little paradise for nature enthusiasts. My husband and I bought our Holiday Home in 2007 in the Correze area, and it was one of the best decisions we ever made! We had all our holidays here and Christmas’s and in 2012 we decided to move over properly. We have never looked back! The lifestyle here is a lot more relaxed and less stressful than in the UK, the people are lovely and we would never go back. You have true seasons here, which is great – you always have a really hot and sunny summer and everyone is more happier. The winters seem shorter as well, but more sunshine than in UK. Due to working in a corporate business environment for nearly 30 years, it was very important to me to work for a reputable Company, that’s why I decided to work for Leggetts, who are a professional Immobilier, they dot all their I’s and cross all their T’s, which is very important when you are investing into a Property in France. When my clients ask me why do I love living over here, I say it’s down to the four C’s, Culture, Cost of living, Crime and Climate. For further information please do not hesitate to contact me, I will be pleased to meet you and show you around some really lovely properties. I am delighted to be given the opportunity for Leggetts to Market this beautiful property . . . 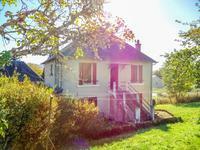 Magnificent 3 Double Bedroom Stone Detached Property with Stunning Outdoor Living - In the Heart of the Correze! Leggetts are very pleased to be given the opportunity to market an exceptional and exquisite . . .
LEGGETTS HAVE BEEN GIVEN THE OPPORTUNITY TO MARKET AN EXCELLENT SIZE 4 BEDROOM DETACHED DORMA . . .
Leggetts are pleased to market this immaculate 2 bedroom fully furnished town house with shop . . . REDUCED TO 64,000 EUROS! Leggetts are pleased to Market this excellent 3 Bedroom Detached . . .